The full schedule for the 2016 World Series of Poker reveals more starting chips, more events with re-entries, and a wider distribution of cash for players. 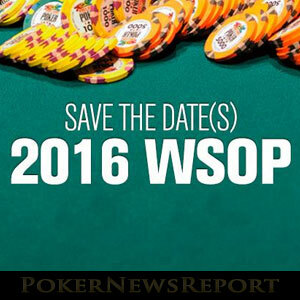 The long-awaited schedule for the 2016 World Series of Poker (WSOP) was released last night to mostly positive acclaim. Although the dates for many of the primary events were released last December, players were keen to find out what the supporting events would be and how they would be structured. In total, there will be sixty-nine bracelets up for grabs – starting as usual with the Casino Employees event on Wednesday 1st June. The first open event will be the $7 million guaranteed Colossus II which starts on the following day, while the first Championship event will be the $10,000 buy-in Seven Card Stud event on Saturday 4th June. Among the eight new events added to the WSOP schedule, one of the most interesting is the $1,000 buy-in “Tag Team” event on Wednesday 6th July. This event allows teams of between two and four players to enter, with each team being able to swap players between hands. Due to the buy-in being “per team”, this event will offer the opportunity for many players on a tight budget to compete against the stars. Other new events include a $565 buy-in re-entry PL Omaha, a “Crazy Eights” NL Hold´em event that guarantees $888,888 to the winner, and a $2,500 buy-in mixed triple draw lowball event that will alternate between Ace-Five lowball, Deuce-Seven Draw and Badugi. 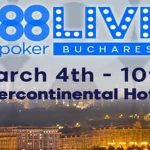 Other new NL Hold´em and PL Omaha tournaments complete the selection of new events, but one in particular has not found favour with a lot of players. Event #4 – the $1,000 buy-in “WSOP.com Top Up Turbo” NL Hold´em tournament – is a two-day event that starts on Sunday June 5th. Players start with 5,000 chips, but can add another 5,000 chips to their starting stack by qualifying for the event via online satellites at WSOP.com. Players who qualify for this tournament via live satellites at the Rio also get an extra 5,000 chips. Anybody else who wants a “double” starting stack has to pay an extra $1,000 at the time of registration. There are several changes to the 2016 WSOP Main Event that have also received positive feedback. Players will now start with 50,000 chips (previously 30,000 chips); although the effect of having a bigger starting stack will be negated by a change to the blind structure that sees Level 1 blinds now 75/150 (previously 50/100) and antes introduced in Level 3 (previously level 4). 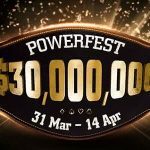 The payout structure has also been altered so that the top 1,000 players or top 15% of the field (whichever is the greater) are assured of cashing in the event, while – similar to last year – every player reaching the November Nine (which actually starts on October 30th this year) will be guaranteed a minimum payday of $1 million. In a change from previous years, the 2016 WSOP Main Event will not be the last tournament to take place in the series. Once the three opening days of the Main Event are out of the way, the Rio will be hosting a $1,111 buy-in “Little One for One Drop” event with unlimited re-entries over the three opening flights. Should be carnage! 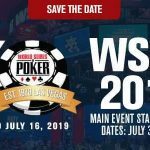 The $1,000 WSOP.com online bracelet will be played exclusively online – i.e. no live final table as there was last year. The payouts for most events have been flattened so that 15% of the field gets paid (previously 10% of the field cashed). The starting stacks for all Championship Events is now 50,000 chips, except for the Player´s Championship (250,000 chips). Noon and 4:00pm start times have been brought forward to 11:00am and 3:00pm respectively. There will be 10:00am starts for the Colossus II, Millionaire Maker, Seniors Event, Super Seniors Event, Monster Stack and “Crazy Eights” events. It looks like it is going to be an action-packed 48 days at the Rio All-Suites Hotel & Casino, starting on Wednesday 1st June.